This the diamond eye of divine flame that burns any obstacle to illumination diamond. are released and for all come flowing divine solutions. constant renewal through the power of eternal life eternal from the original source . new creations are made. This energy of diamond helps men and women alike. Great joy among you, even as we also celebrate this day . light of your life and the responsibilities go, enter the master frequency. high luminous planets manifests on earth, and awaken your light aspects. the light carrier grace of the New Generation for this creation. high - Divine Harmony is transferred to your consciousness to the cellular level . The true way in which it works is to catalyze by transforming the aetheric pattern of a substance. A new pattern of interaction is created which allows the Palladium to merge briefly on an aetheric level with other substances. In utilizing this, great transformation can take place at the aetheric level in an individual. 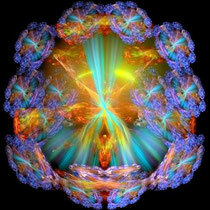 The ability of the aetheric body to transform energy created from meditative work, visualization, mental energy, etc. into physical healing is significantly aided by diamond palladium. When used over time, Palladium can exert a profound effect on one’s ability to utilize the soul energies. These are energies that often relate to your soul group (the beings you are united with vibrationally). fill with positive energy, all of the voids or holes in the aura and the auric field. access into your artistic side more freely. This also balances the male/female energy of the body. It assists in the removal of any energyblockages within the body. You can do this daily and will notice a large difference in how yourbody feels. You will feel more energy and a push pull energy flow as the blockages are removed. Itsets up an electromagnetic field which enhances the energy or the electrical structure of the body. This will bring much more clarity andallow one to access a higher percentage of brain function.